Beware of anyone who does not have a license to work in your area. Scam artists often come from out of state and go door to door looking for victims. That’s especially true for areas recently hit by natural disasters. Does the contractor look professional? Is their truck in good shape? Do their tools look cared for? While you’re not looking for a fashionista, someone who looks sloppy probably runs a sloppy business and does sloppy work. A bid dramatically lower than those from every other candidate is a red flag. There has to be a reason for a low ball bid…and it’s never good. If they demand a large deposit it could be that they want to pocket the money and run. Deposits should be between 10 and 30%. 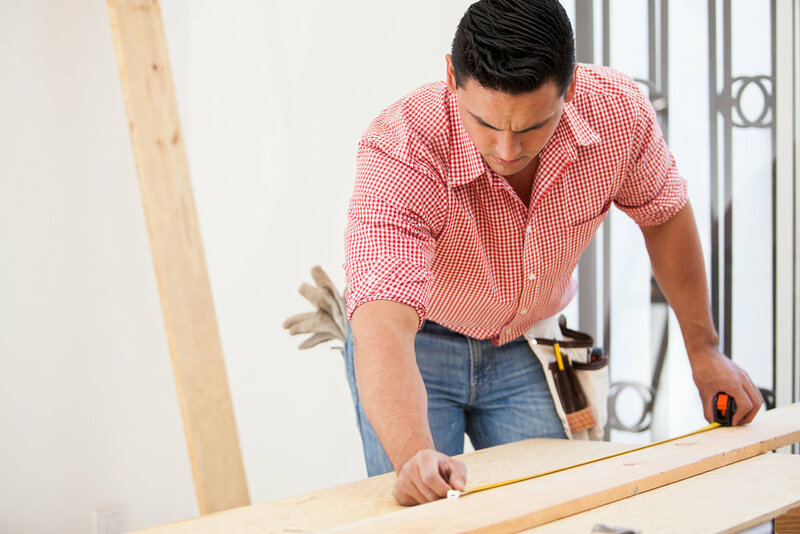 Be extra careful of any contractor who doesn’t provide a street address. Double check the licensing of anyone with just a PO Box. A contractor who says they work without a contract is looking to take advantage of the customer. Any contractor who refuses to give you their insurance policy number and the name of their insurance company doesn’t really have insurance. References that don’t check out. Ask for the three most recent projects they worked on, not just three references. If you’re offered a special deal if you sign a contract immediately you’re being rushed for a reason: they don’t want you to check up on them. A contractor who stops by unsolicited because they were working in the area is actually just going door to door looking for victims. A contractor who asks for cash is scamming someone and will likely scam you too if he or she can. Anyone who won’t provide you with a list of all the subcontractors they’ll be using is probably using unskilled, inexperienced people and may be planning to stiff them, leaving you with a mechanic’s lien on your home.